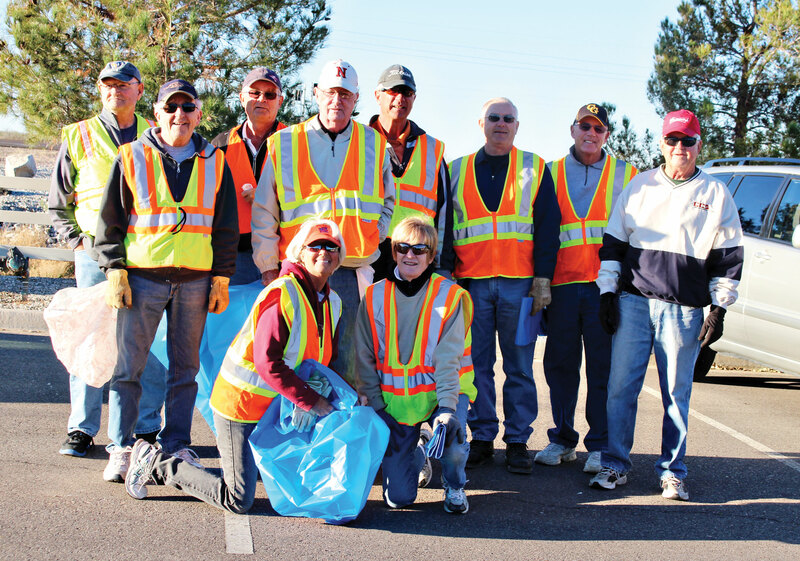 The first Adopt A Highway cleanup of 2015 occurred on January 22 with 10 great volunteers doing cleanup on Jimmie Kerr Blvd. There were lots of other events going on that day so our numbers were down, but we collected 16 bags of trash and four pounds of aluminum cans as well as various larger items. A big thank you goes out to the following Robson Ranch residents: Lyle Watts, Tom Harris, Kent Jensen, Don Chase, Ed Kovac, Karen Connell, Doug Connell, Patty Bruchez, John Gluch and Marv Enerson. Our Robson Ranch Patrol member, Perry Crawford, assisted with transportation, water and supplies as did Ed Kovac, who volunteered his own vehicle. The Adopt A Highway program is headed by committee chair John Gluch who is a Robson Ranch resident and an active member of the Eloy Edge Group. To become a member of this special group contact me, Gaile McCuaig, at buniears@gmail.com or simply sign up at the Sports Club when the next cleanup is scheduled.